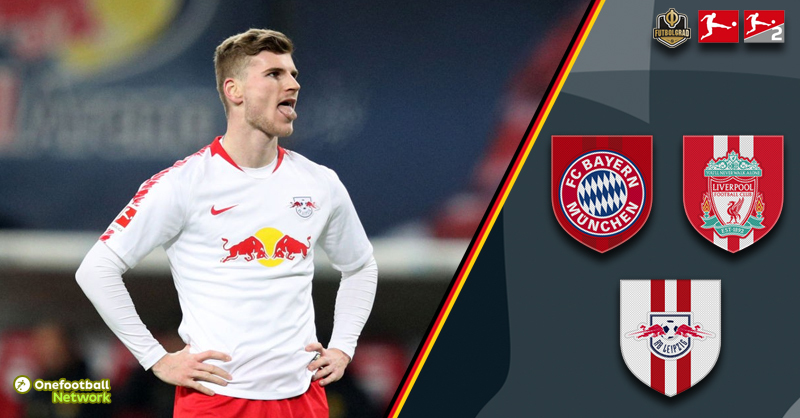 RB Leipzig’s Timo Werner is the striker destined to become Germany’s main centre forward at international level, but where does his club future lie? With a number of sides reportedly interested in securing his signature, just where could the 22-year-old end up in the next 12 months? Arriving in the summer of 2016, Werner has embarked on a meteoric rise since he swapped the white of VfB Stuttgart for that of his current employer. In a busy transfer window that heralded the arrival into the Bundesliga of the Red Bull backed club, Werner was one of four highly rated players that moved to the east German state of Saxony. Joining the forward at die Roten Bullen were the Salzburg duo of Naby Keïta and Dayot Upamecano, as well as the Nottingham Forest teenager, Oliver Burke. Leipzig’s debut season saw the newly promoted side push Bayern München for the title, beating Borussia Dortmund into second place – and with it an automatic shot at the UEFA Champions League group stage. Part of the reason for their immediate success was down to Werner, his 21 goals and seven assists in 31 Bundesliga games signalled his arrival as a quality striker. His performances earned him an international call up from Joachim Löw, the native of Stuttgart made his senior debut in the March of 2017 and he has gone on to score nine goals, three of which came during a very successful Confederations Cup campaign in the same year. However, coupled with this success has been a growing speculation that the forward would leave RB Leipzig at some point in the not to distant future. As his contract approached its final two years that speculation led to a number of clubs being linked with the Leipzig starlet. With his name tied to clubs across Europe, just who are the front-runners aiming to tempt Werner away from the RasenBallsport stable? It will come as no surprise that the Bavarians are linked with the natural finisher. Any homegrown player that becomes an individual of interest within the Bundesliga will at one point, or another, find themselves mentioned in the same sentence as the Rekordmeister. 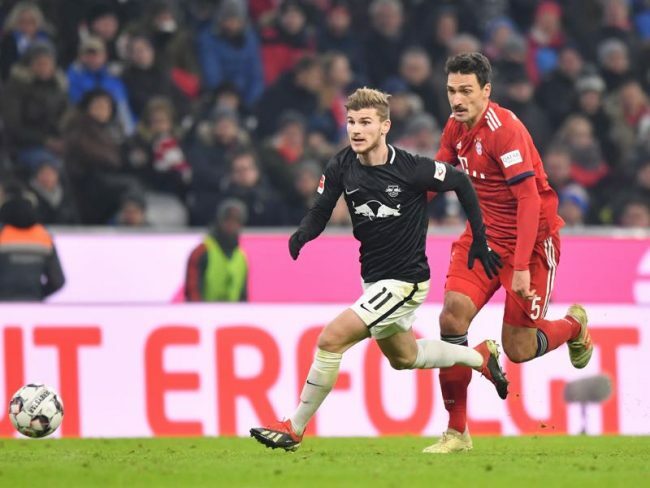 Werner’s rise hasn’t gone unnoticed on Säbener Straße, emerging as Bayern’s number one target should he become available. The players’ agent, Karlheinz Förster spoke to German publication Sport Bild in June 2018. Stating that the Munich side had already sounded the player out regarding a move, even before he signed for Leipzig. Förster commented that four years ago “wasn’t the right move, Timo wasn’t yet ready for the step up“, arguably he is now and not many players turn down Bayern twice. That club can only be Bayern München. Ex-head coach, Jupp Heynckes also admitted last season the club need to sign the Leipzig player in the future – even going so far as admitting they should have already made a moved for him. Since Jürgen Klopp took over the English Premier League side back in 2015, the link to German players – and those plying their trade in the Bundesliga, has been an easy one to make. Sometimes convenient, the association with his homeland isn’t one to be ignored. Klopp has plundered the Bundesliga frequently when in search of new talent. Defenders, midfielders and even a goalkeeper have all been purchased, so why not an attacker as well? It is no secret that Liverpool’s manager is an admirer of Werner, and reports across England have linked the 51-year-old with a potential move for the forward. Reports have also surfaced in Germany, Sport Bild citing that Liverpool are heavily monitoring the Leipzig player’s situation – especially with the futures of Divock Origi and Daniel Sturridge in doubt on Merseyside. Werner’s agent, Förster is also known to have spoken to the Liverpool boss about his in demand player over the summer of 2018, and the forward very much remains a target that the Reds would make a move for. Speaking to Four Four Two in the spring of last year, Werner spoke candidly of a desire to play in the Premier League with both Liverpool and Manchester United holding a special place in his heart. Liverpool themselves have also shown that they are becoming somewhat masters when it comes to securing the signature of top talent. Capturing their number one targets in all the recent windows, their only failure Nabil Fekir – a deal in which they themselves walked away from on medical grounds. The Merseyside club’s ability to offer Leipzig a way out of seeing their striker pull on the shirt of Bayern should also not be underestimated. Die Roten Bullen are understood to prefer a sale overseas should one be forthcoming. 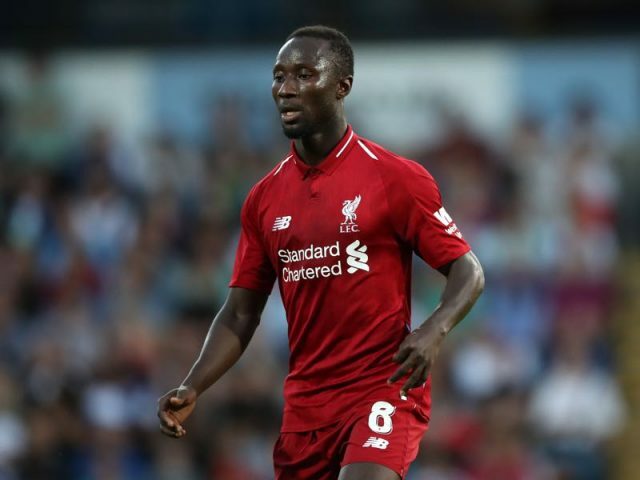 Werner’s close and successful relationship with Naby Keïta, while the latter was at Leipzig, also offers the Reds a bargaining chip – as does their appearance in last season’s Champions League Final, a competition the forward is keen to play in regularly. There is of course, the possibility that Werner is just stalling on a contract renewal with Leipzig and he has no intention of leaving the Bundesliga club just yet. He has been given a deadline of June to extend, or renew past 2020. Leipzig will not allow him to enter his final year under contract with the possibility of losing him on a free transfer. The Futbolgrad Network has learned that the striker has become increasingly frustrated with regards to European competition football. Poor results in the Champions League, coupled with Europa League woes, have left the striker seriously pondering his future in Saxony. Sources close to the player have indicated that Werner is keen to play under Julian Nagelsmann, who arrives from Hoffenheim in the summer – but this can not be at the detriment to either a Champions League or Europa League campaign. Put simply, if Leipzig fail to qualify for Europe next season there will be no future in the relationship. With his current employers keen to secure his services for another four seasons, there could be some concessions made if an exit clause was an option. 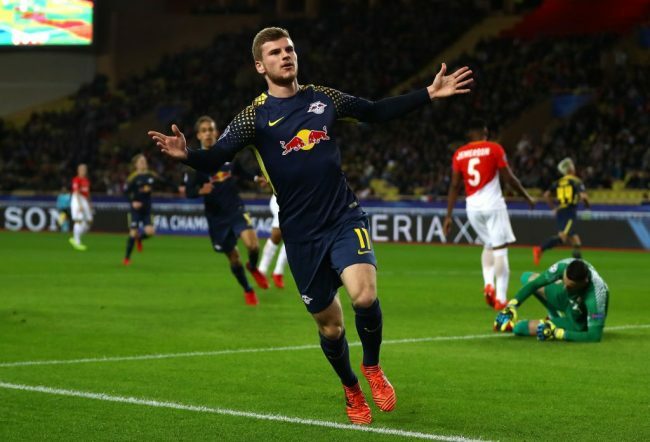 Therefore guaranteeing Werner a move to a top European club should Leipzig be unable to match his expectations. 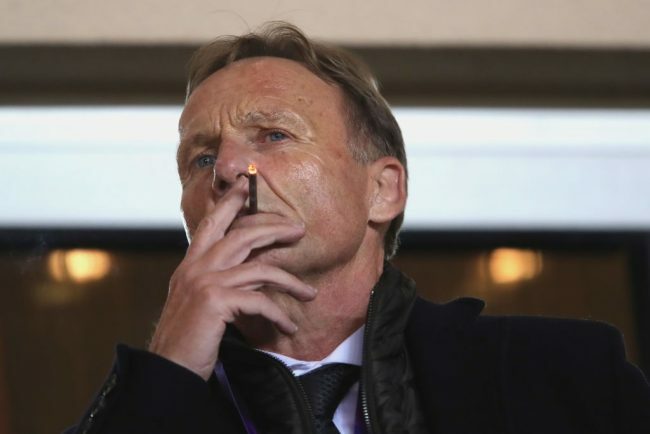 Watzke’s cryptic answer led many in Germany to believe that the club in question was Bayern München. Tottenham Hotspur are another English club touted to be interested in Werner, with scouts from the North London side in attendance at both Leipzig home and away fixtures. However, Mauricio Pochettino is in the market for a striker in the current January transfer window. Something that is not of interest to both Werner and Leipzig. Real Madrid, Spanish newspaper AS reported on New Year’s day that Werner is on the radar of 13 times Champions League winners, Los Blancos. However, they also report that January is the preferred month of recruitment, with Mauro Icardi of Inter a potentially more realistic target. With Werner’s future under constant speculation one thing is certain, the Germany international has options aplenty for both him and his agent to consider.